Previously unsalable – Sold after 4 days – Realtor Don Harkins with Keller Williams took on a listing that sat on the market with another Realtor and did not sell. The location on Hillcrest Avenue in Winter Park could not be the culprit. 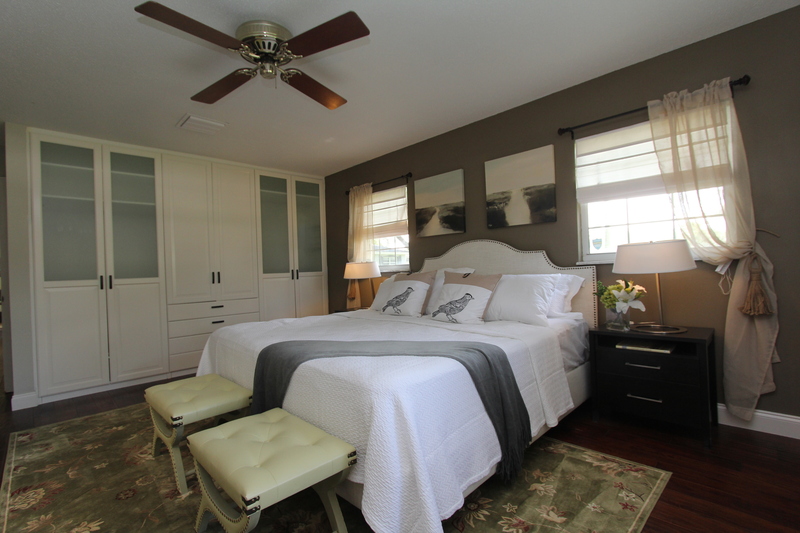 His strategy to shake things up was to revamp the property with mostly minor renovations and a gorgeous staging by I design to Sell. As it played out this strategy worked great. The previously unsalable house sold within 4 days and received multiple offers in the process. Stager Helen Bonello-Strauss pointed to a few areas of improvement that made a big difference. One was that one of the rooms was used as an office. The stager recommended to remove the built in desk to make room for a bed. 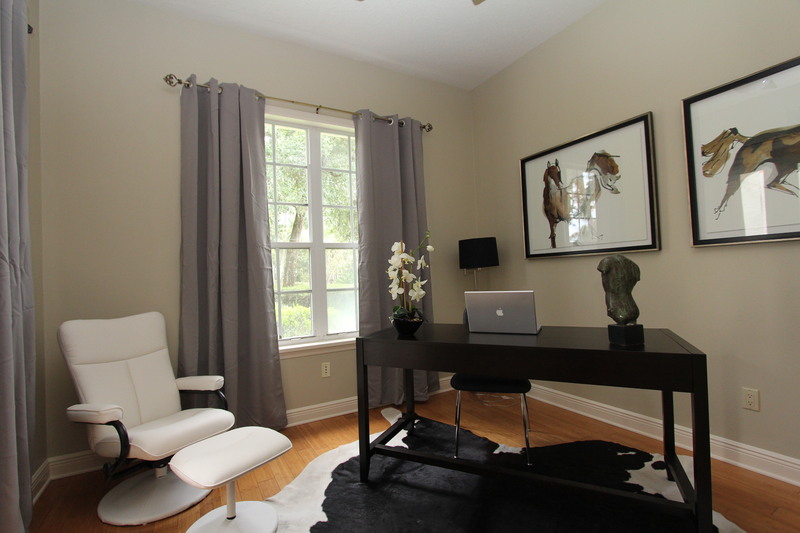 Since the house had already another office space plus a flex space behind the master suite, there was no need for a third office in the house. Marketing the house as a 4 bedroom gave the listing already quite a competitive edge. Also there were a few rooms with bold colors that needed a bit of neutralizing. The owner completed an overdue roof replacement, removed wallpaper in the powder room and did a few minor fixes to make the house market ready. The response was great. Real estate agents submitted multiple offers within a few days and the property closed quickly in less than a month. The team of I design to sell says THANKS to Don Harkins for the opportunity to be of service. The power of pictures – how your photos can make or break a real estate sale. 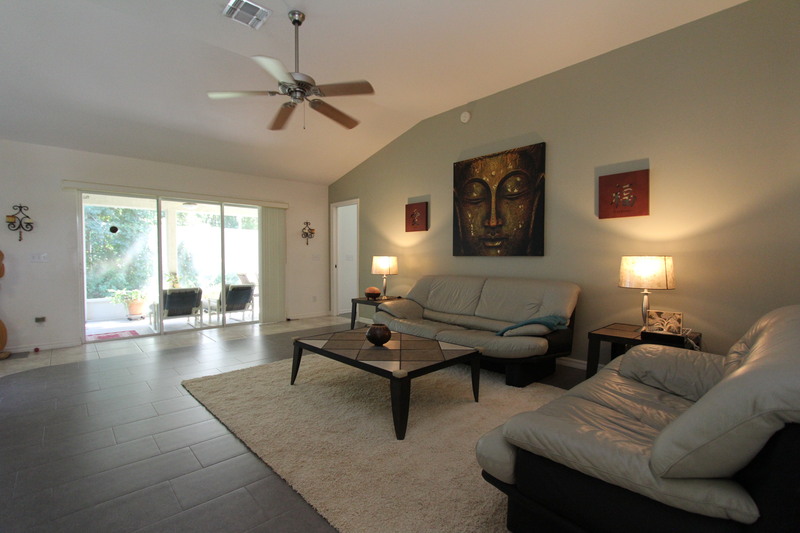 The role your property photos play in the selling of a house are easily overlooked. 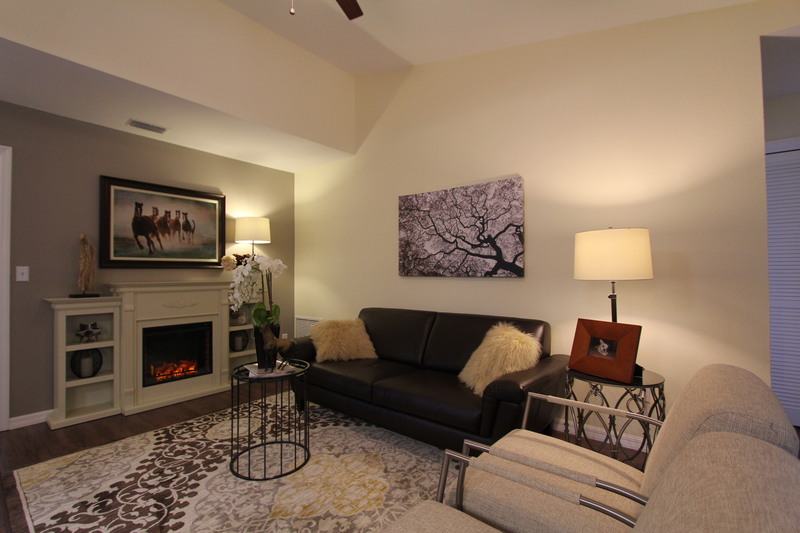 It seems like the photos that represent your listing might play a minor cosmetic role in your overall sales efforts. It is rather a fallacy to assume that it is more important how the house looks in real life. The way houses are found by buyers have changed drastically from just a few years ago. The internet empowers buyers to scout the market, to compare properties based on the virtual representation they find online, and to educate themselves about property values and past sales. 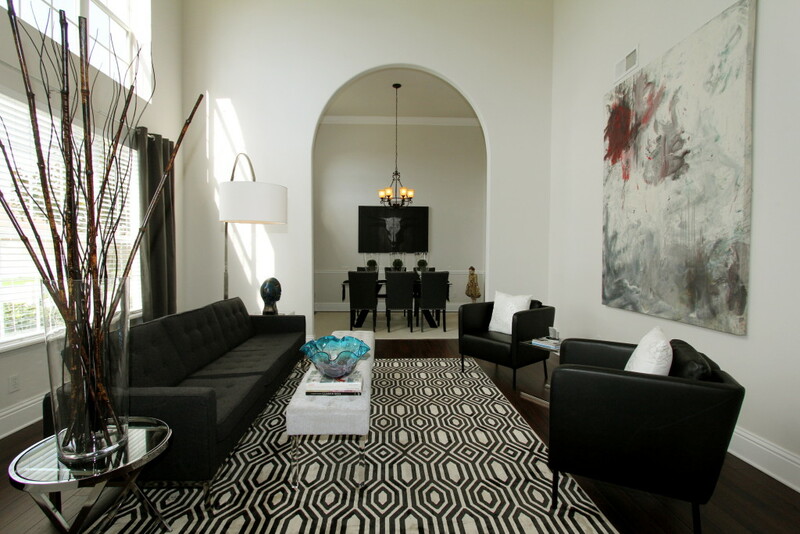 One of the main reasons why savvy real estate professionals hire professional designers to decorate their listing is that they understand the power of the first impression. And the first impression does not always happen when the potential buyer sets foot over the threshold, but when a prospective new homeowner takes a look at the pictures of the house online. That split second impression will influence the decision for the buyer to pick up the phone and call their agent about the house. So the house needs to show its best; and so the pictures. We all have seen the blurry picture of an empty room corner, taken with a 90’s flip phone. Or the narrow iphone pictures that only show half a fridge and part of a cabinet while claiming this is a representation of the kitchen. 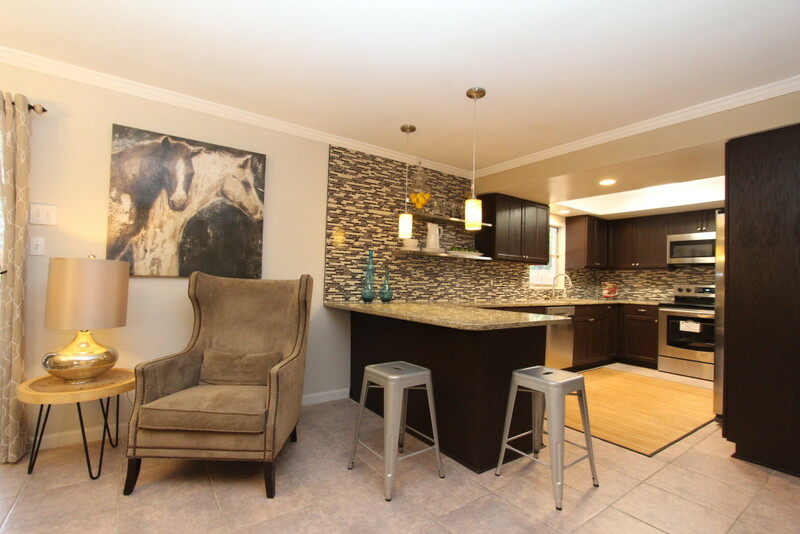 Unless you are trying to sell partial appliances, those tunnel vision photos don’t do your listing any justice. Buyers are quick to rule out your dungeon property, just because the pictures were taken after dark. Not putting any photos of the interior in the listing when it hits the market first is not the best move either. Buyers don’t fall in love with the description of a house. They want to see it. They respond to visual aids. That’s why we mostly watch TV instead of listening to radio at home. “You only can sell what you can see” is an old real estate truth. The most important task is to get buyers in the door. They have to see value in the house before they even see it in person. If you don’t grab their attention right away they are off to the next house, the next listing or the next agent. The next choice is only one click away. The buyers agent might not even put your house on the list because it misses one of the narrow criteria the buyers have set. 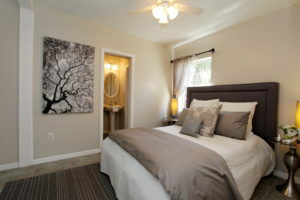 It may not be in the right school district, the size might be just a bit too big or too small, the target price range was different, or it has one bedroom less than they preferred. Buyers frequently add homes to the showing list if they like what they see. And often they find the house online first. Online shoppers have the attention span of a fruit fly. If they don’t see what they are looking for within a few seconds they might be gone for good. And sellers and listing agents don’t even realize it. Will buyers like it? The decision is made in an blink of an eye. Ready to saddle the horses? Go mid-western – The Midwestern style was quite popular in the 90’s and produced a plethora of native Indian artwork, pueblo inspired architecture and the occasional imitation artifact to complete a Mid-Western themed design. If you have a space that lend itself to a more rustic look, you can revive the style and take liberty with your vision of the mid western style. Think ranch, horses, the big sky. In this example of a Midwestern inspired room the designer Helene Bonello Strauss combined a cowhide with another rug for more depth of a layered look and some feel of an urban and conventional styling. You don’t have to go too much overboard with your barn look. Just take a few elements and play around with it. Make sure that you keep it simple and light enough. You want the feel of it without a myriad of small items cluttering the space. Instead of the dated 90’s artwork use photographs of horses or western landscapes for a contemporary aspect of the style. 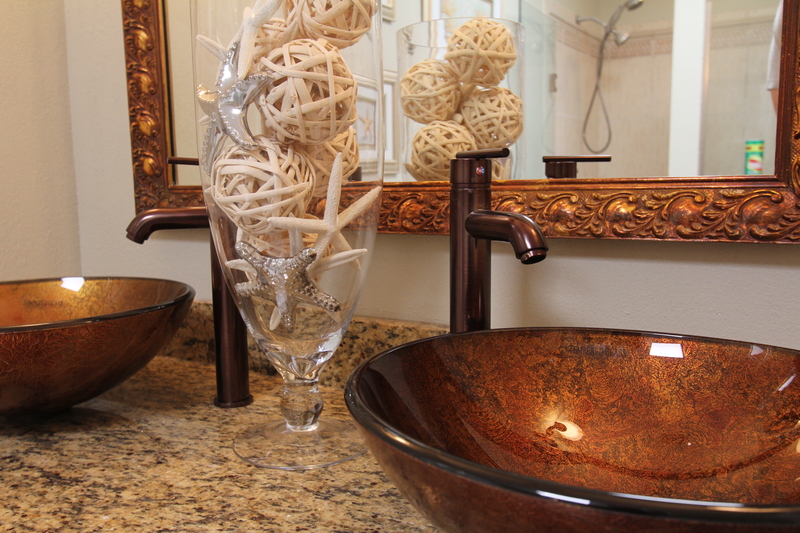 Take items that speak to you and incorporate them in your space. 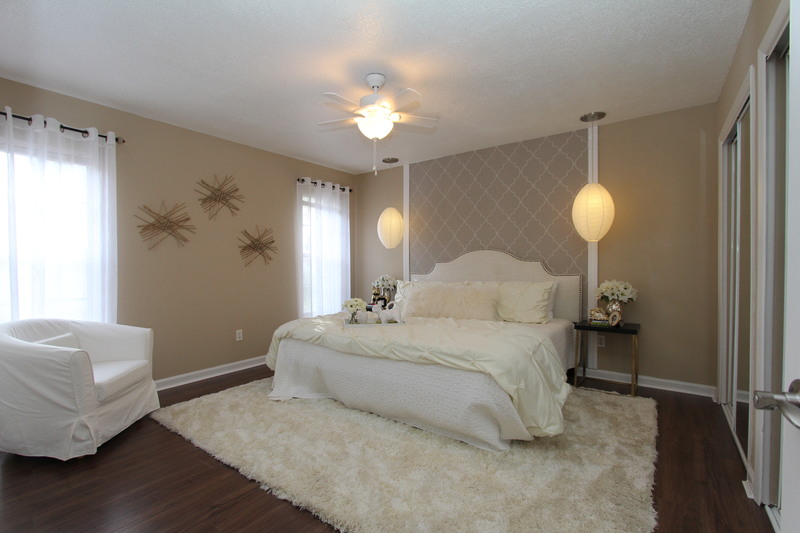 Create a simple color palette composed of neutrals and earth tones, and you will like the outcome. 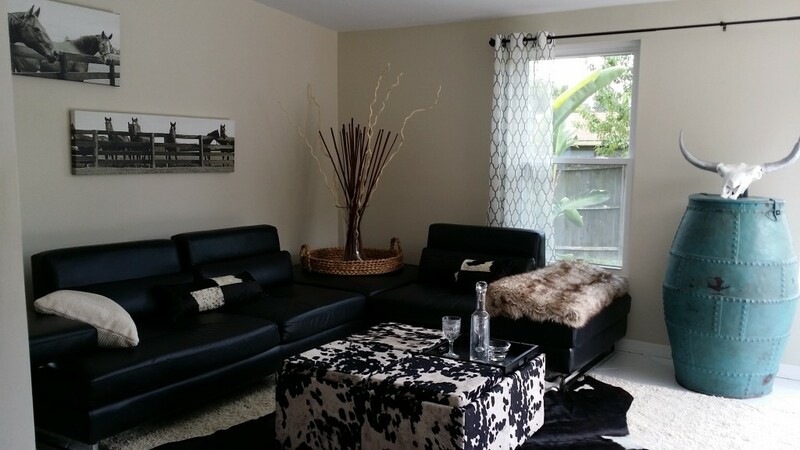 Don’t be afraid to use contemporary items like the modern leather sofa in the picture. The antique barrel takes up enough of the theme without making it look forced. The skull is a replica from the Homegoods decoration store. A fresh twist on your grandpas trophy. This room is proof that you don’t have to own a farm in New Mexico to pull of a mid western theme. So saddle up and ride in the sunset. Even if the destination is no further than your own backyard. 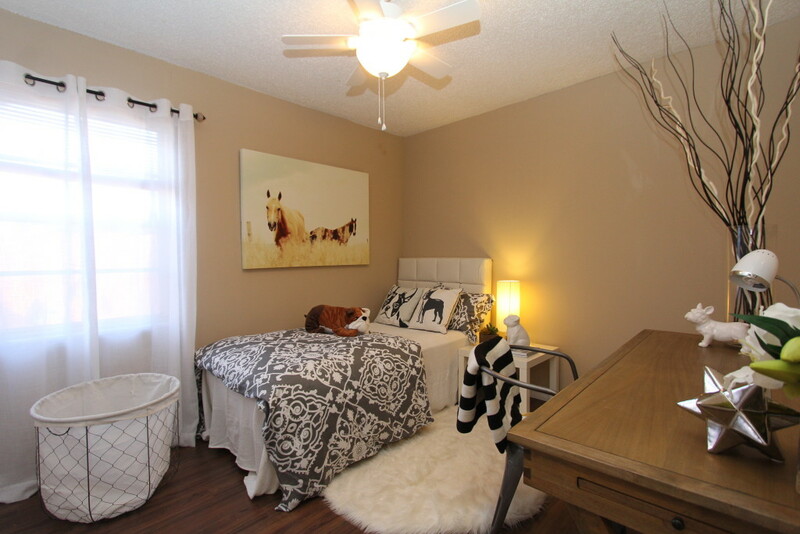 A contemporary den with a few rustic elements play with a somewhat mid-western identity. 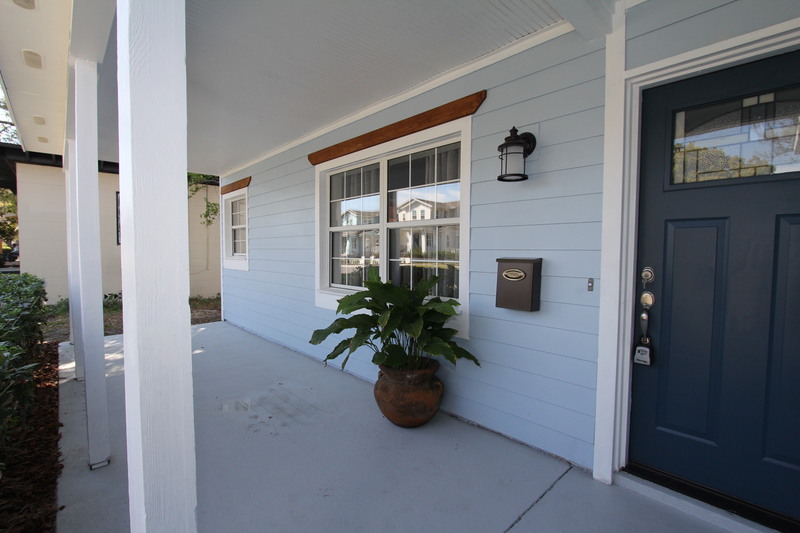 This freshly renovated little 3/2 home sits just a few blocks from all that Winter Park has to offer. 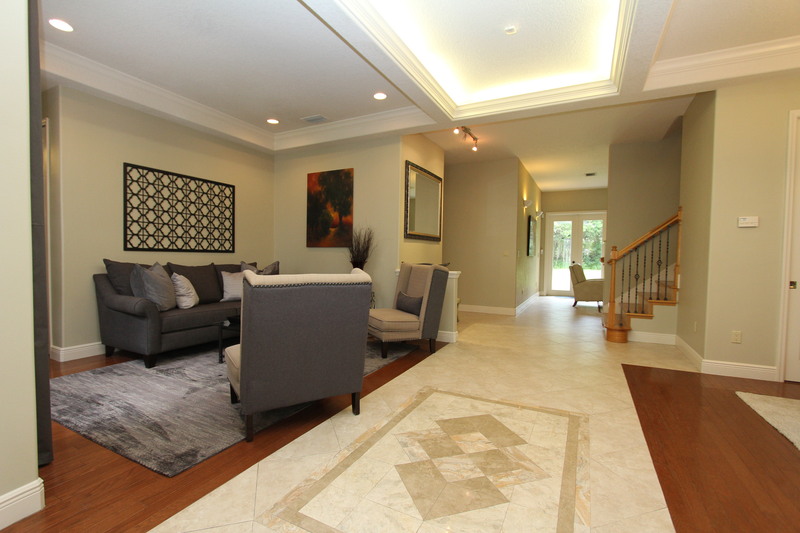 Ravaudage, Winter Park Village, and Lakeside Crossing are only a few short blocks in one direction. 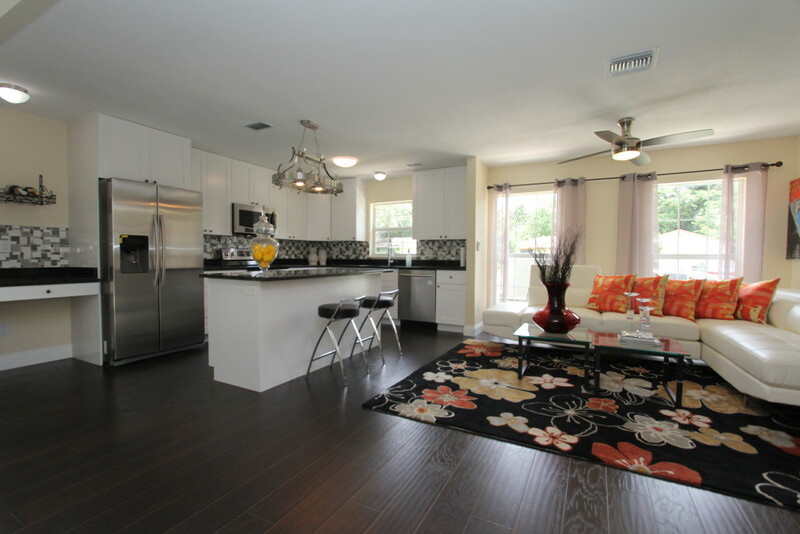 Hannibal Square, Park Ave, The Sun Rail Station, and Rollins College sit in the opposite direction also a short walk away! This solid block bungalow boosts over 1050 sq/ft of living space 3 bedrooms and 2 bathrooms, an updated kitchen, 2 updated bathrooms, and a large privacy fenced backyard area. Stager Helene Bonello-Strauss gave this cute Bungalow a new look with a modern staging job. 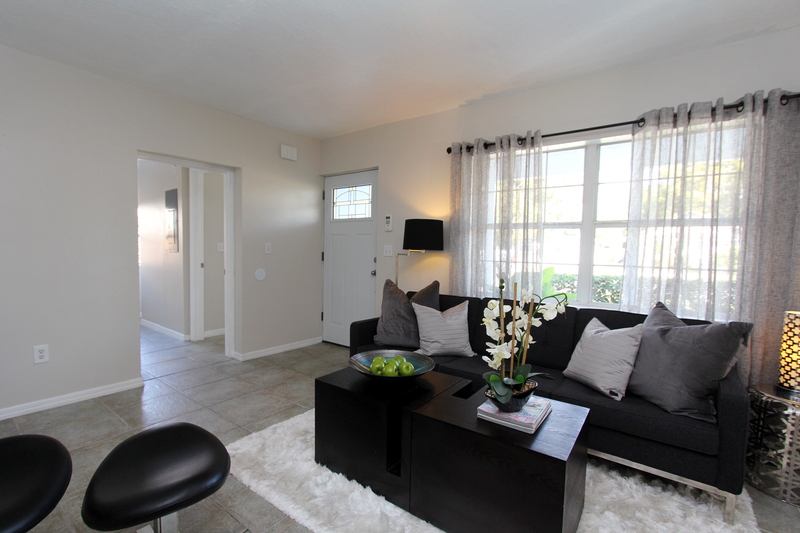 It showcase the livability of the small home and gives inspiration to the new homeowner to be. 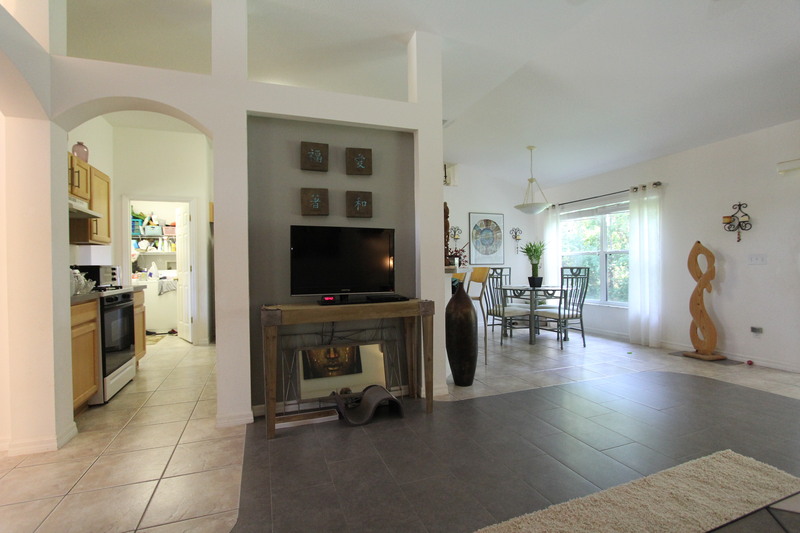 Realtor Amy Perez is offering this property at a price of $ 274,900. Further information under 407-919-8248. See what made this house sell in a day. It was listed for 6 month before and did not receive a single offer. The staging made the difference. 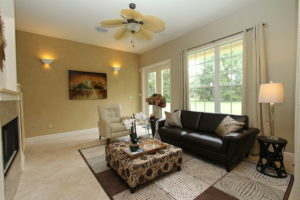 The house sits on a nice lakefront lot in a gated community in Deltona and was not selling for 6 months time. The owner contacted Helene Bonello-Strauss and asked for assistance with the sale. The house needed not much. A bit of touch-up on the paint and a few single walls were painted in an accent color. 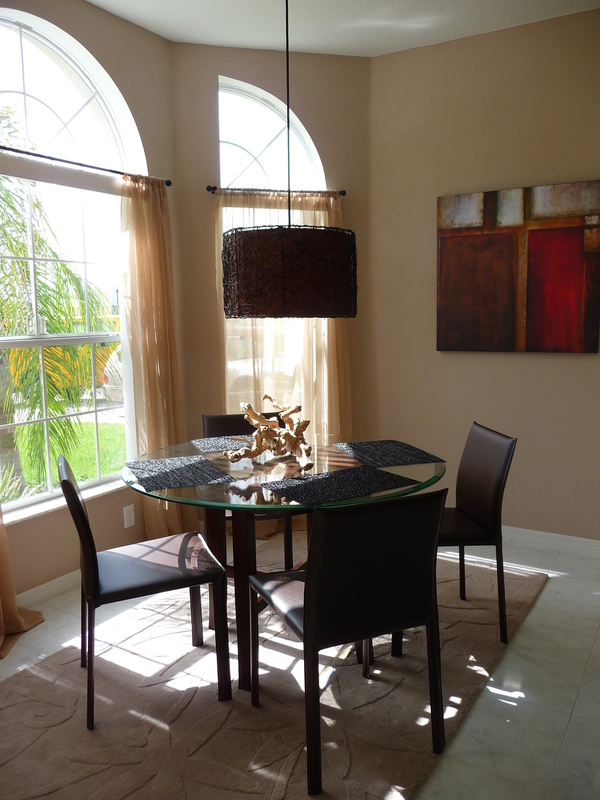 Then the Orlando staging expert suggested to rearrange some furniture and adding area rugs as well as some window treatments. These small inexpensive changes made all the difference in the world. After a moderate price adjustment of $ 7000 the house went back on the market and the first day it received a showing of a family who submitted a full price offer. The house closed smoothly and both seller and buyers are extremely happy with the outcome. It pays off if your house shows well. That is something the homeowner took to the bank. This beautiful custom home in the city of Edgewood, just south of downtown Orlando, shows its true potential after it has been celebrated with a custom staging job. The decoration enhance the features and give visitors an idea how the house can present itself. The property is currently offered for sale by Realtor (R) Kilsy Vargas (phone 321-299-3552) or email kvargas.rebroker@gmail.com. 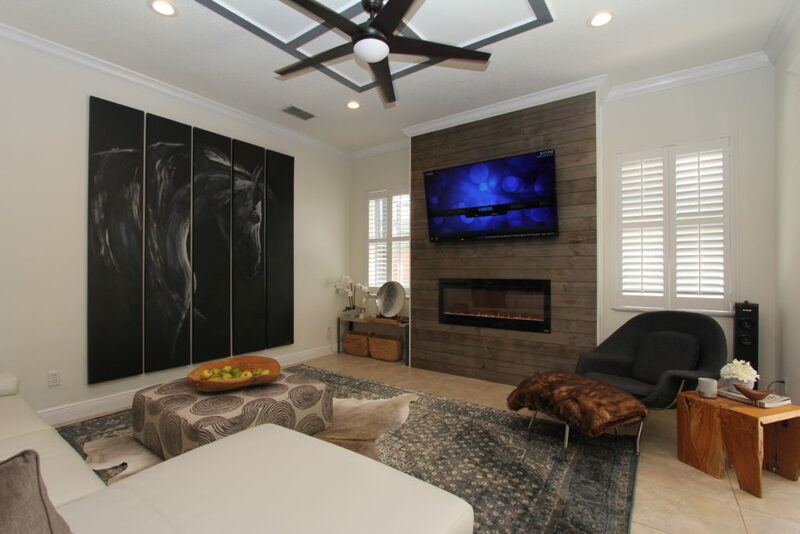 When you are thinking to convert the empty bonus room into a nice hangout space or man cave you might want to consider everyone’s needs and create something that will be a great hit for all of your family and friends. For many men a large TV, a comfy sofa, and a mini fridge will create the ultimate hangout space. But that would be quite one sided and limit the use quite a bit. You may consider furnishing the place so that it has many uses. In this case the place is a converted garage that was decorated as a family hangout room. The far right end had a closet that was converted to a desk area for homework and crafts. 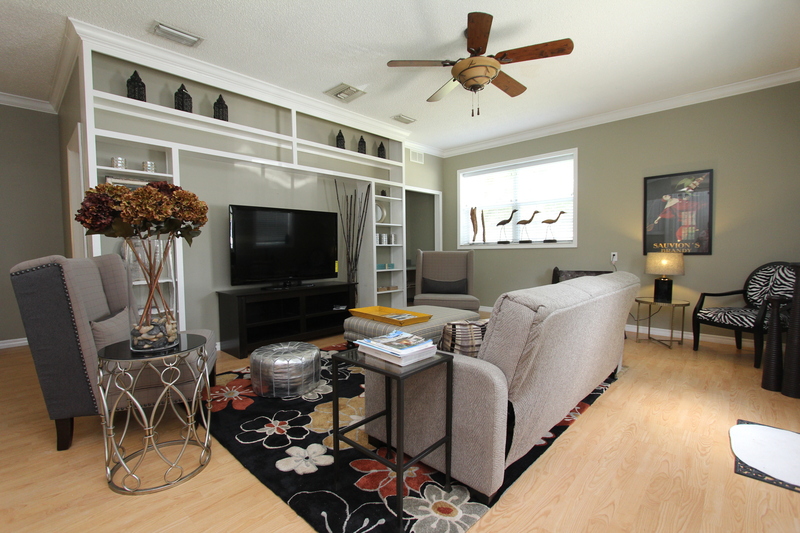 The TV was set in a space with nice built ins to give the room a more finished look. The sofa is comfortable and can function as a guest bed. So if the room is needed this space has more than just one function. The set up is colorful and vibrant and probably one of the most inviting spaces in the house. Due to its various uses it is a hit with everyone and will not leave any family member out. The fact that this space used to be a garage does not come to mind right away. 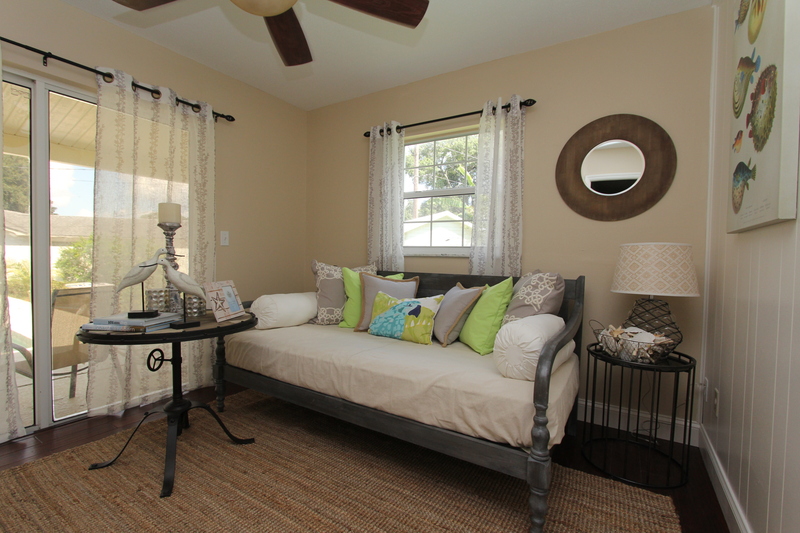 It does not have to cost a fortune to create a space that can function well and look great. 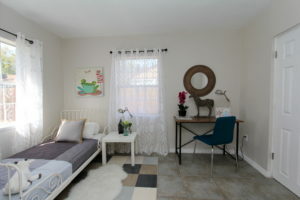 If you think of selling a house with a bonus room make sure it does not only show one side. 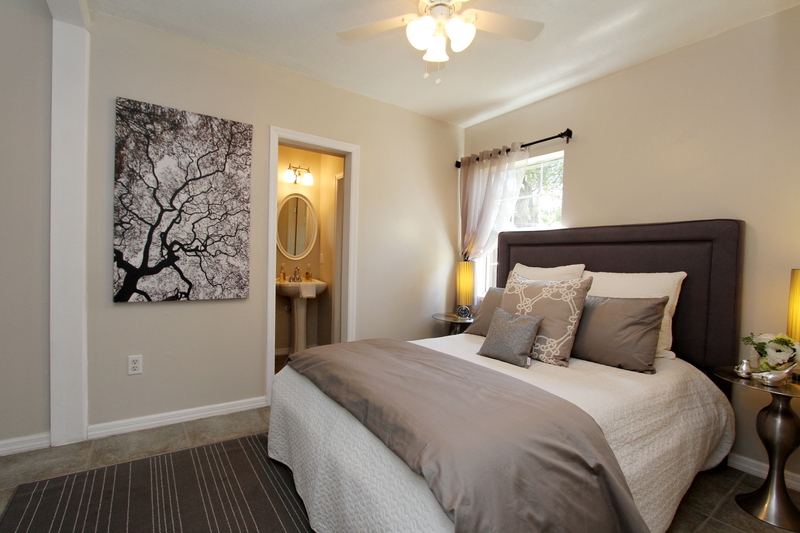 The more sensible use you can put in a space the more value perceive potential buyers. Just make sure the design looks coherent and gives a clear enough message about its potential. 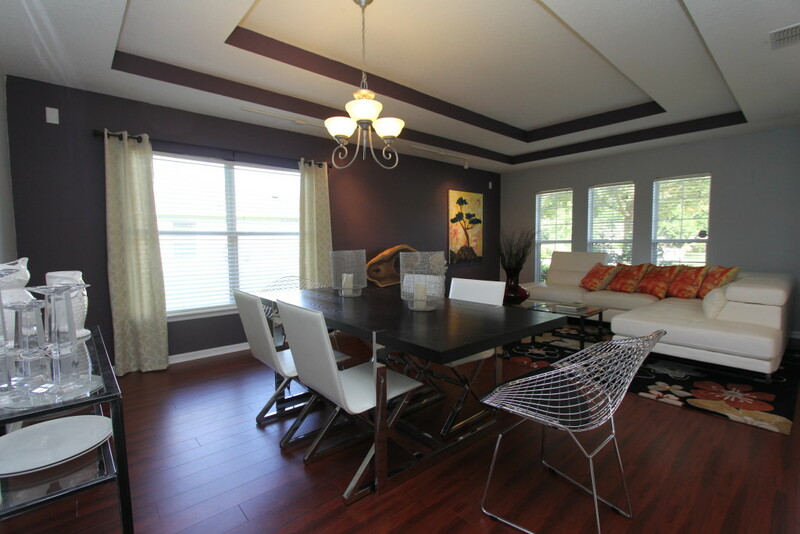 If a prospective buyer takes the time to sit down, there is opportunity to sell the house. You are not selling brick and mortar. You are selling a space the buyers can use, you are selling to the emotion that they have when thinking about the next Superball party, entertaining with friends, or the rainy afternoon watching a movie. It is not about the 4 walls that is important for a buyer. It is how they are using the space. It is all about the memories they are creating and how they can give the time they spend in their new home some meaning. If you paint a vivid picture of their future, your are on the right track. The bonus room might make the difference. Finding your audience – how to design for a client you don’t even know yet. 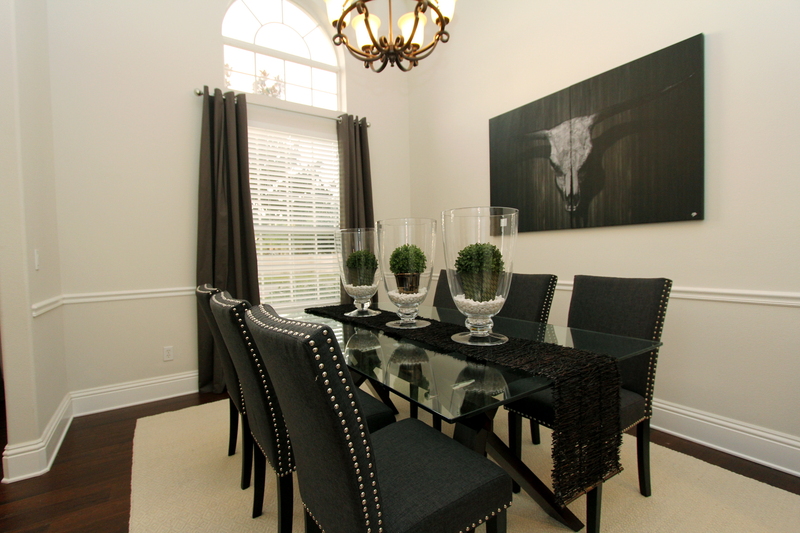 Great staging has a lot to do with anticipating the wishes and dreams of a client you have not met yet. In a sense you have to imagine who you are catering to. So who is the person or who are the people who should respond positive to your design. When staging a house for sale, I always think of the potential buyers for the space. Will my audience will be a family with children or will we sell to a retired couple? Will a single person feel drawn to the house or do we think a younger newlywed couple will start a future here in Orlando. The neighborhood statistics play a role here and if I have access to the statistics, I look at those to find out who will be most likely attracted to the neighborhood. 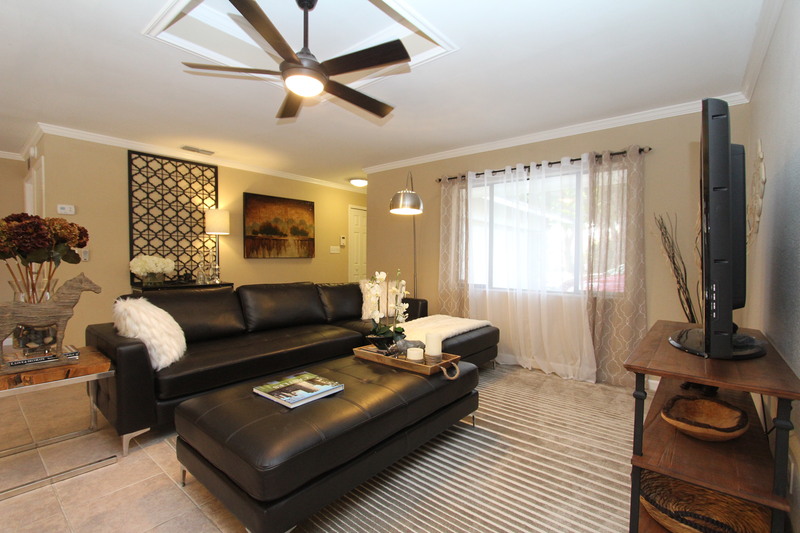 Will it be a young professional that is draw to the Downtown Orlando area, will it be a couple looking for a College Park home in walking distance to restaurants. Will the house in a desirable school district in Lake Mary, Winter Springs or Longwood attract a family with children? Once I have a rough idea about the audience we will be catering to, I can start making plans on how to design for them. It will be easier to determine if I need to decorate for a home office or kids room. I can make design and material choices that will be more appealing to my core target group. Off course it is important to keep it universal enough that you don’t alienate other potential buyers. So in any case the house has to be attractive to all potential groups of buyers. However, we can focus a bit for a group that will be most prevalent in the mix. We anticipate that we have a buyer that has seen design shows on TV, and perhaps browsed occasionally through a design magazine. That way we can showcase current trends and a great appeal for maximum effect. We want the buyer to pay todays prices. We have to show them a fresh design vision. For buyers less inclined with decorative trends the house appears as a refreshing novelty, for the ones this represents what they are looking for in an ideal world. It is creating a sort of competitiveness. Not all living quarters are created equal. Lets tip the scale in our favor with a bit of icing on the cake. If you are planning to do some cosmetic renovations, consider a consultation with your design professional ahead of your work. That is a sure way to put your money where it counts. 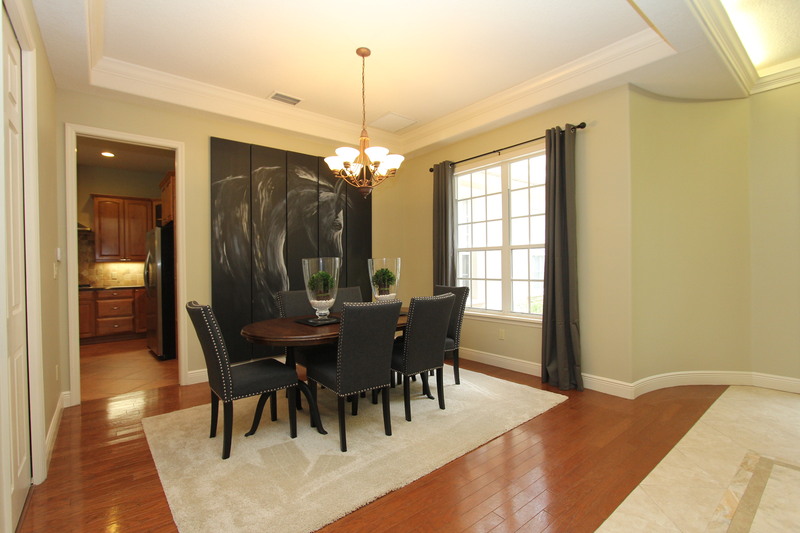 You can focus on the key factors that will help to bring your property into the new millennium and to create a current design that will include paint colors, fixtures and flooring choices. It can be quite devastating to find out that your expensive renovation set your property back into the 90’s. While nostalgic flash back parties are a lot of fun, your house should not hang on to the past too much. Your clients typically want to live in the moment and not relive someone’s past. Why you should not buy a whole room at once – Furniture stores want to make shopping easy. They often advertise a whole room for sale. “8 Pieces for the price of 5”, says the ad. The designer sees this like the screeching sound of chalk on a blackboard. A bedroom set with its big four poster king bed, matching night stands, dresser, a highboy and all in the same shape, wood and color. Your room will look exactly like the furniture catalog and that is a look that can be very boring and predictable. Just because the furniture manufacturer offers any possible type of furniture piece with the same design, no one dictates you have to have them all. Designers almost never take a so called “bedroom suite” and stuff it in a room. They mostly take time and judgment and select single pieces that they combine for a visual interesting look. The reason those professionally designed rooms look so great is that the designer takes inspiration from a myriad of shapes, colors and textures and select the pieces that tell a story and set a mood. Consider a basic rule. The items you pair should unite in either of the following ways. Select them by color or material choice. You also can combine items by similar shape. If you go with something wooden, see if you can find another piece with a similar color and texture of the wood grain. If your elements have metal, seek similar metals. So if your bed has chrome feet you may want to find similar metals and perhaps don’t use nightstands with aged bronze hardware. Or you can group a number of vases that are made of different materials but show a similar shape. The elements in the space have to reference each other enough to form a somewhat coherent design without being matchy matchy. Even your nightstands can be of different shape if they are made of the same material or vice versa. 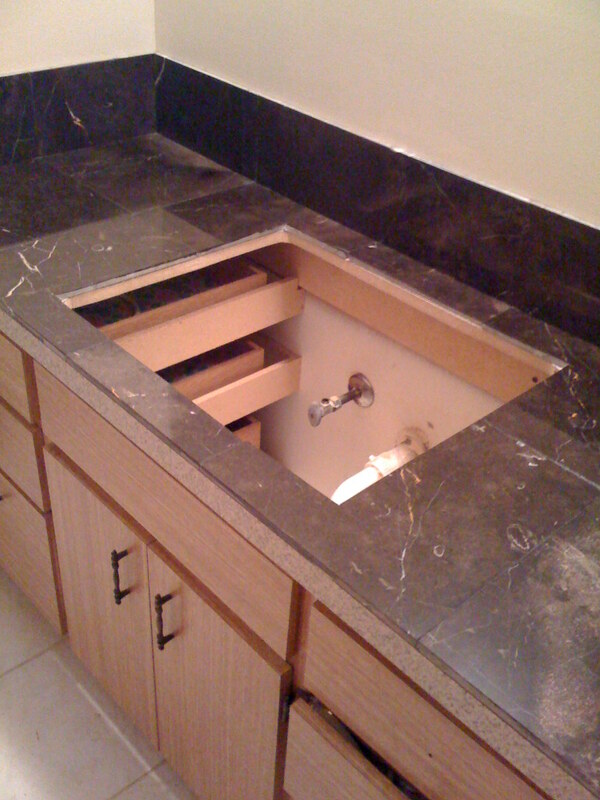 It is a bit tricky and if you are not sure consult a designer to assist you with the choices. Last not least, keep in mind that if you think of buying all of the available matching options from the store, you have to have a bedroom the size of the furniture showroom. Chances are your space is not all that big. 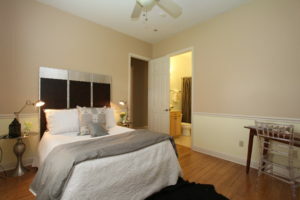 If the room is overstuffed with a huge bed, enormous nightstands and three large dressers and you live in a tiny apartment, your bedroom will be so full that there is hardly any space left to feel relaxed and welcome. Make sure you leave room to live your life. 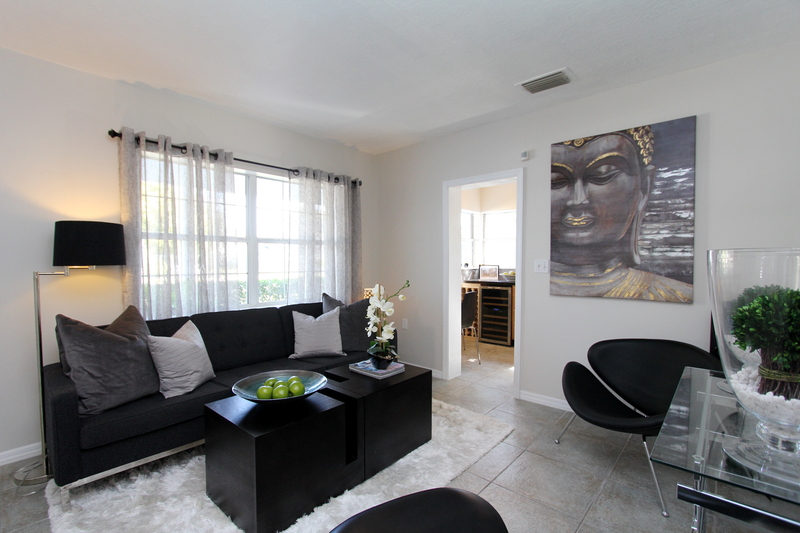 This is the space that you and your loved ones will occupy. Your house is not a museum, but a space that surrounds you and that should cater to your very own needs. One of the most important things to consider in your interior design is the room you leave open. It is essential and it is easily overlooked. No one likes a room that does not leave enough space for their own being. The low headboard fits perfect under the awkward windows. The two stools provide a place to sit and put on shoes. The chair in the corner accentuates the large space. 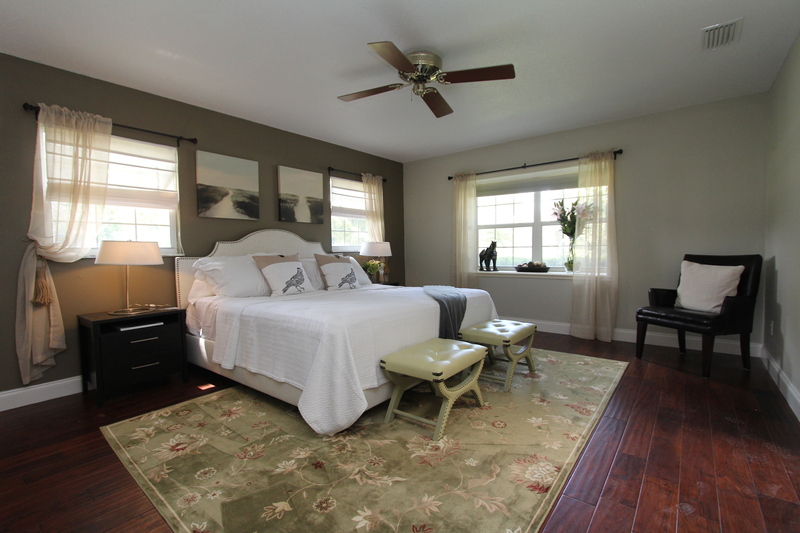 All colors in neutrals with a weight on green tones work well with the wood floors. Instead of matching drawer chests we went with built in closets in classic white. 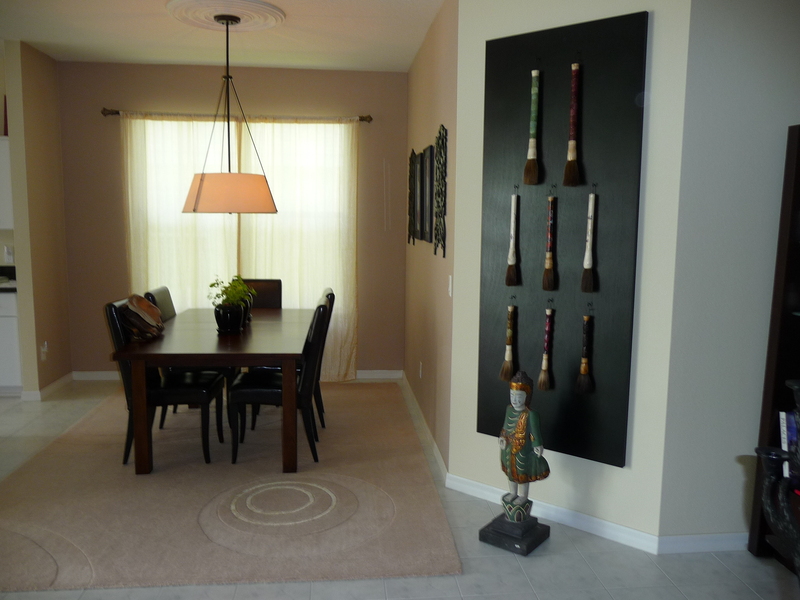 They come reasonably priced from the furniture store and were easy to trim out for a finished look. 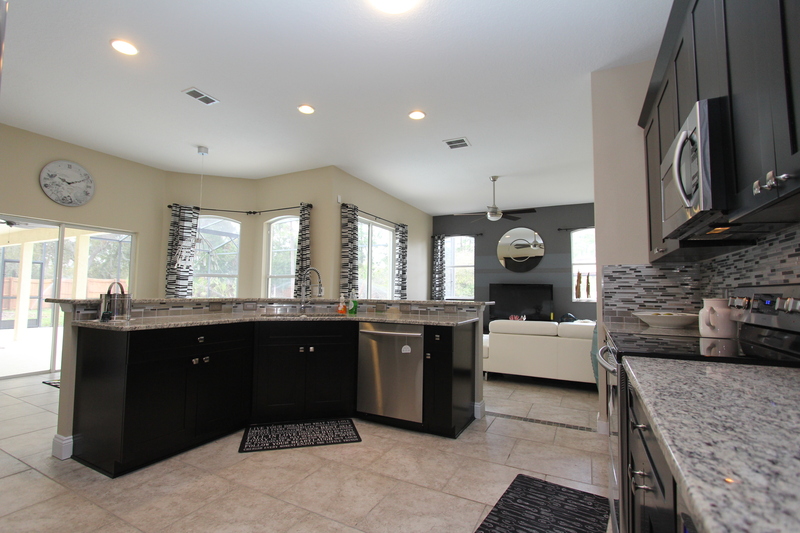 Stunning design helped sell this Sanford home – What to do when your have a nice house that is as nice as two dozen others in the neighborhood, which are essentially identical copies of your house? How can you make it something that buyers crave to own? The answer to this question might be “design to sell” it. Take smart and current design principals and apply them to your cosmetic overhaul. 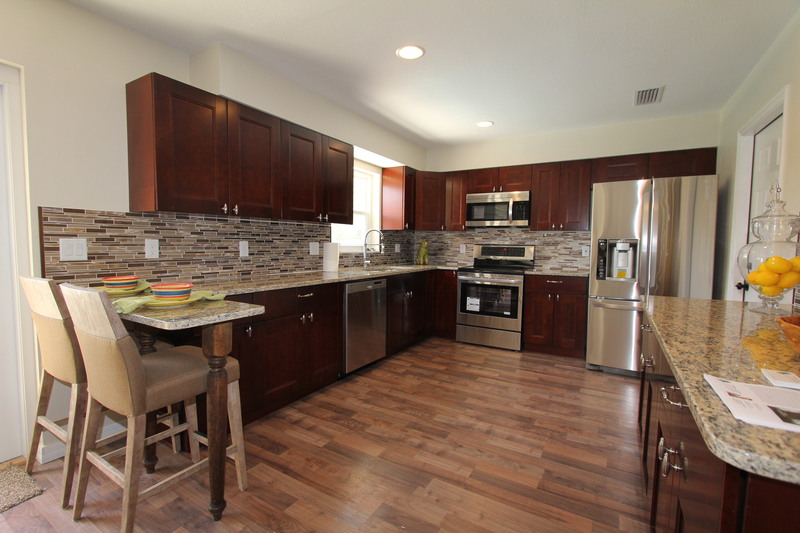 If the house had undergone a remodel you are half way there. 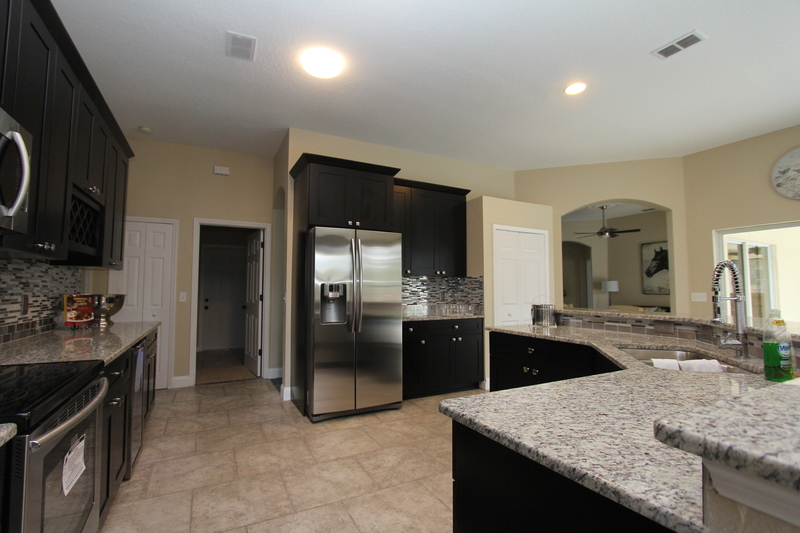 This beautiful two story house in a gated community in Sanford is a good example of such a design change. With the help of high end artwork and a professional staging job this house shows its full potential. 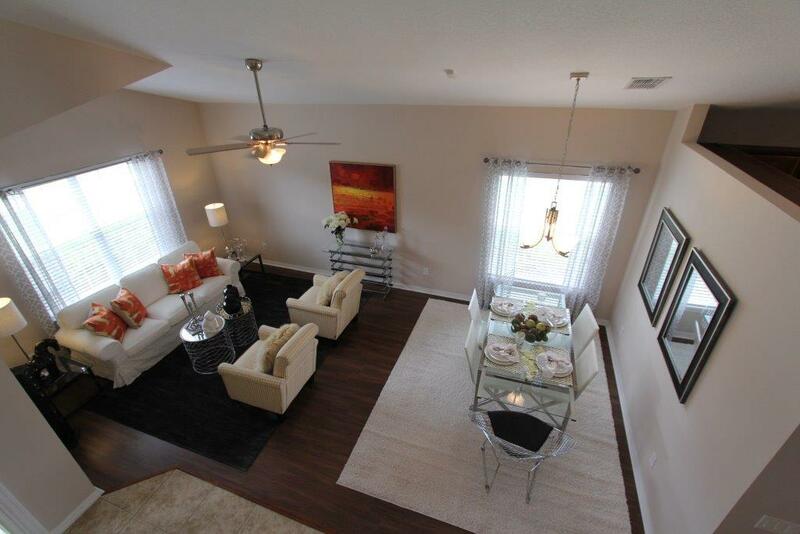 This floor plan had sold a number of times in this tract build community. However, the design of this property makes it a very appealing and creates a dramatic impact to visitors. We congratulate the seller to a renovation job well done. It gave us the perfect backdrop to a strong visual transformation with modern and urban appeal. The only sad thing is that we have to undo the magic, due to its approaching closing date. 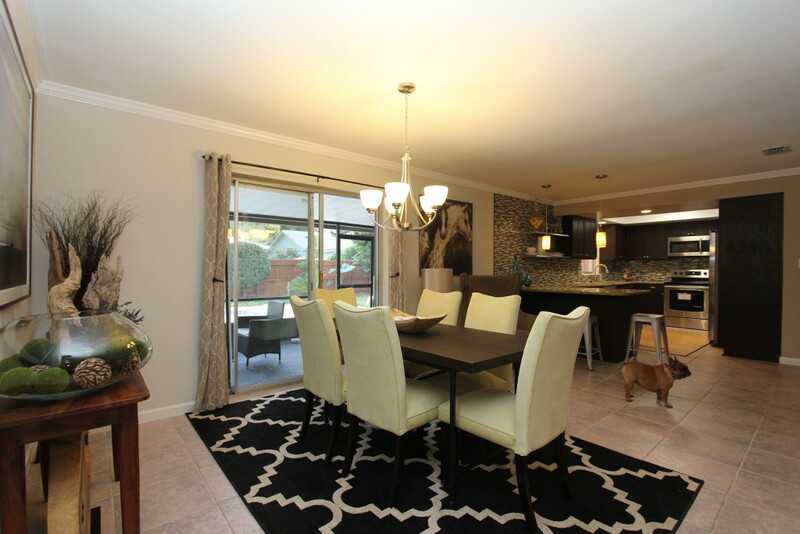 Like in most staging situations, the house gets sold without the furnishings. Well it gives us opportunity to do it again. It will be another house, and the look will be new and different each time. However, we hope the feeling we create will be the same. A fresh and current design, seemingly pulled from the pages of the latest design magazine. An idea, a vision of a lifestyle to be aspired to. It should be the feeling to have arrived at a place that we looked for so long – a place we call home.